Was alone on Christmas Day as family lives 600 miles away. Took my relatively new camera to uptown Charlotte and walked around for 4 hours looking for interesting compositions in an attempt to learn how to use it. 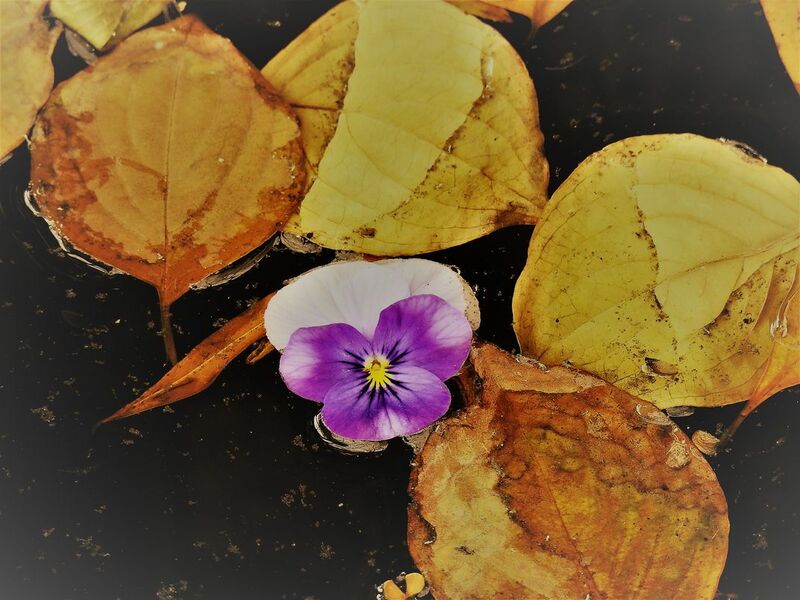 There was a pocket park with a small waterfall and some lanes of water and the pansy floating among the leaves caught my eye. Seemed out of place on December 25. Date Uploaded: May 28, 2018, 11:51 a.m.